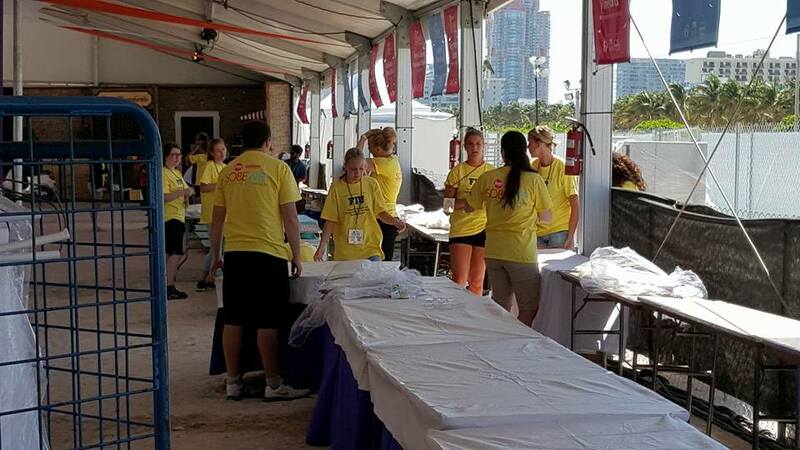 Back in when i was in Florida we were so lucky to work at the South Beach Wine and Food Festival. 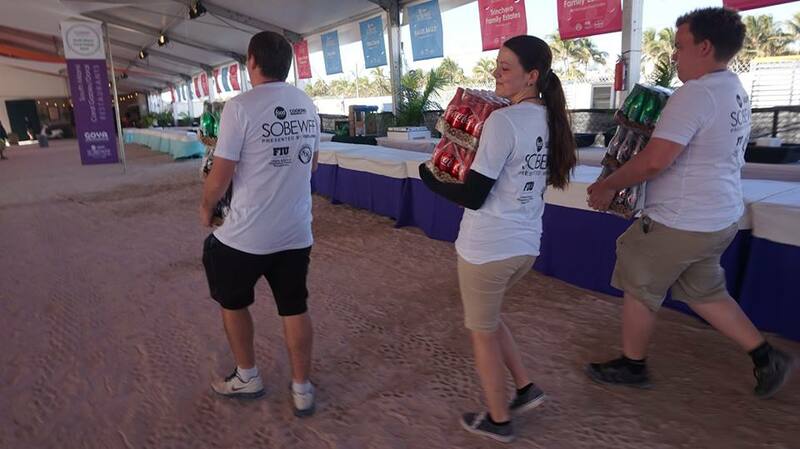 We lived at the SoBe hostel and hat to walk from 2th to 16th where the volunteers tent was but i was working at the south tent so i had to walk almost all the way back again, just inside the festival walls. The first day we were standing around a lot because they didn't really know what to do and (sorry) but the communitation was really bad between the leaders. We were all under a teamleader and mine kept disappearing? I only saw her the first day so i was kind of lost the next day but i ended up under another teamleader. We started to get the tables for the exhibitors and was not doing much anyway. The first day of the festival was also kind of slow because we could now really do anything. There is a low in US that says that we could not handle alcohol as volunteers so we could not ever lift the exhibitors boxes for them. Saturday was the day where everything happened. It was more food now that wine and alcohol but they took me from the South tent and and put me in the welcome center. So i used my whole Saturday by saying hello to people and give them giftbags. There were so many people and we were running around and did get a really late lunch. I was a little pissed that i didn't get to be inside the walls and experience the festival because that was my job at first. There was a lot of awesome things happening inside that i really wanted to see and help with but the leaderes was sooo confused and ran around. Because those who send me in the Welcome center did not talk with my new teamlader in the South tent, so they thought i wasn't there at all. It was really confusing. The last day i RAN into the festival and to the South tent so i did not miss it that day. There was not at much activity as Saturday but there was A LOT of people anyway. It was fun and i became somehow friends with some of the exhibitors i helped out. We had a lot of fun and i got to talk with some of the other students from FIU that volunteered. We talked about the different way we studied in Denmark vs US which we on the trip experienced. It was funny to hear someone else's opinion about random stuff and how different it is, just because you live in another first world country. All in all a fun thing to try and academically we felt our models about working environment on our own bodies. You understood it much better, instead of just reading about it all.